White Birch Paper employees are provided with training and development opportunities to promote superior service, proper job performance and professional growth. Training starts on day one: all new employees participate in an extensive orientation program to learn about employment policies, safety policies and work requirements, as well as the company and our culture. We also encourage continuous learning and support personal growth and career advancement throughout our employees’ time with the company. 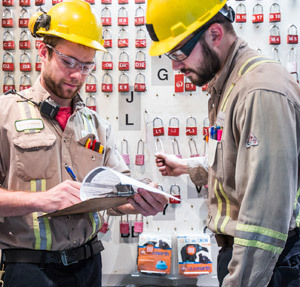 Our employees produce, refine, protect, deliver and manage our product, so it’s important that continual learning is part of our everyday business. Identifying future leaders and providing leadership training is vital to our success as well as our employees’ success. This is why White Birch Paper provides extensive learning opportunities and tremendous leverage to define one’s role and grow in one’s career. In addition to mandatory training, we also offer our employees more than 200 classes of interest (free of charge) to further their education, if desired.